Last night we accompanied Chris to the Arts Depot in North London where he performed with Steve Ellis and The New Amen Corner. It was a great show (as always!) with Chris singing a set scattered with soul classics such as Stand By Me, In The Midnight Hour, and Mr Pitiful. 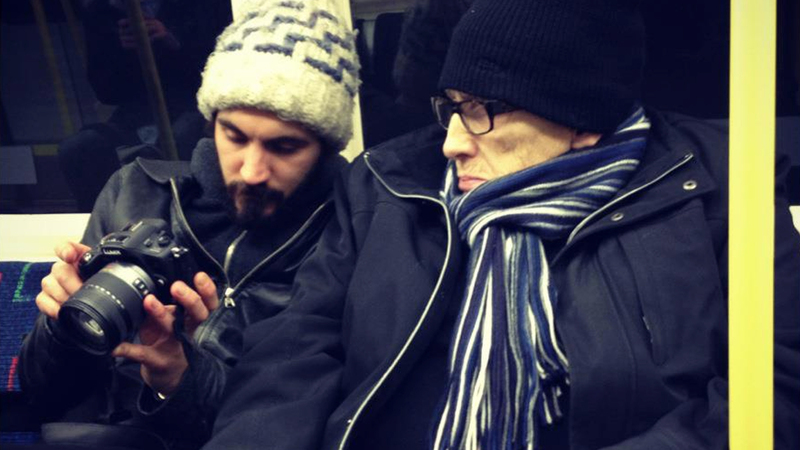 Here’s Asa showing Chris some of the evening’s footage as we travel home on the tube.